Despite becoming such a popular alternative to using regular taxi companies, app-based rideshare and private driver services have been causing quite a bit of commotion among customers and the cities they operate in due to a variety of issues including lack of regulation, surge pricing, problems with the drivers, improper vehicle inspection and inadequate insurance coverage. What is Ariv all about? But there’s an app that aims to solve many issues that prevail in currently used riding services, for both riders and drivers. 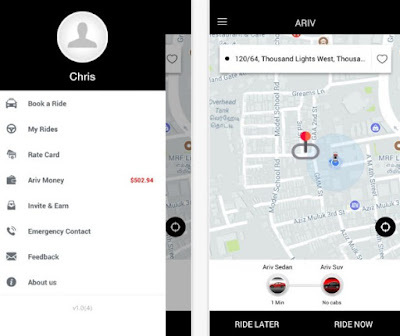 We’re talking about Ariv, a new and innovative ride-sharing service that’s currently operating in Washington, DC. The app is easy to use, simple and subscription-based. Read on and find out what it has to offer. Instead of having any shares or commission in the profits, Ariv offers monthly and weekly subscriptions. If you’re a driver using this app, you will always know how much you need to pay at the end of your subscription period, giving you the chance to make extra earnings if you truly put the effort. As a rider, you will always have a great car at your doorsteps, with few taps on your iDevice. Forget about surge prices, unprofessional drivers and non-convenient riding experience. Now you can enjoy more streamlined rides and be a part of revolutionary ride-sharing community that’s going to change this whole industry. Ariv is currently available for download on the App Store, but it will be soon released on Google Play as well. Get it today – it completely free of charge! Playing arcade games on our android smartphone is highly entertaining. However, finding a game that offers addictive and fun gameplay in the same game can be quite hard for finding. So, if you are looking for a game that offers exciting and fun gameplay, a game that offers smashing and tapping gameplay that will hook you with only one try, we found one game that offers you all of that in one game. Let's see what this game offers you. The game is one interesting and addictive arcade game that is developed on android platform, offering players exciting arcade gameplay. The game is suitable for all ages, offering players to enjoy the high-quality HD graphics, and the colorful designs with fun background sounds when they are smashing bugs and playing. With the smashing ants and bugs, users need to react fast and precisely to win the game. Players can have fun and improve their fast reactions with smashing different bugs, enjoying the arcade gameplay on the next level. Download this game on Google Play now for free. Sometimes using our smartphones can become quite confusing, especially if we don't know much information and details about our phone and the features offered. How can you learn more about your device without spending much time searching for information? There are many productivity apps that can help you learn more about your phone. We've been looking and we have for you one highly efficient productivity apps that offers you to do this. Let's talk about the app. Effortless productivity app that is developed for android users, easy to use tool that gives users complete and accurate information about their android smartphone. Using this info checking tool users can easily learn more about their device, getting complete details about their phone without much effort and fast. On the app, users are getting accurate information about the hardware of their device, learning If their device is rooted properly, learning about the brand and manufacturer of their phone, and many other information that can help them use their android properly and without any issue. 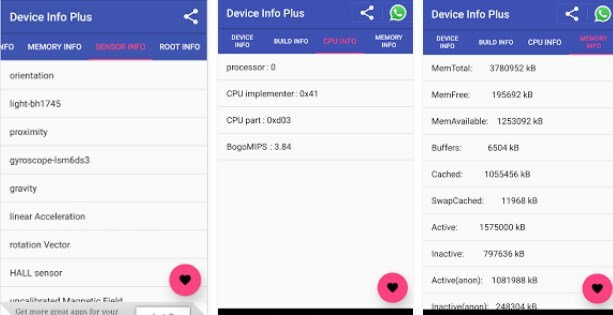 With the Device Info Plus, users are getting one useful info checking tool that offers them detailed information about the android's hardware. The information about the hardware are divided into 2 different categories, the category of the device information offering details for the Model, Manufacturer, Chipset, Build Number and Android OS version, and the second, the system category offering details about CPU architecture, Board, Number of Cores, Clock Speed, CPU Features, Governor and Kernel information, as current CPU Utilization, Total running processes, and clock frequency of each core. Users are learning also about the brand of the device, the manufacturer of the device, Device Id, IP Address, Mac Address, Fingerprint, CPU1, CPU2, and Board. With the share icon on the app, users can share the app with their friends and family. Also, they can copy certain information, with a long press on the screen. As the senseless prohibition of cannabis wanes, a booming industry has emerged across North America, complete with handy apps for our Androids and iPhones that help better our experiences with marijuana. We think the one cannabis app reviewed below is one of the best available, so make sure you have plenty of free space on your phone and get ready to download. The app’s name is Chronic Compass, now available on both Android and iOS platforms. Chronic Compass is one of the greatest cross-platform apps for finding the right marijuana products. This comprehensive guide is designed with friendly user interface and useful features, such as up-to-date and accurate listings, huge directory of doctors, deliveries, dispensaries and storefronts near you, etc. Why should you download it? There are many reasons why you should have this app in your device. First of all, it’s easy to use and free. You can sign up for free or login with Facebook or Twitter and start browsing and sorting through products and businesses based on location, price and average customer review. Chronic Compass can help you find local dispensaries or let you know which products are with great quality. It lets you find a local marijuana doctor to get evaluated and receive your professional recommendation, or locate local businesses selling tasty marijuana edibles. You can even use its cookbook and make your own tasty edibles, upload photos, write your own reviews, etc. With Chronic Compass is easier and simpler to find weed, so make sure you get it for free from the App Store or from Google Play. As you've probably heard by now, there are tons of reasons to meditate—it's good for your heart, helps you sleep better, creates better eating habits, and improves relationships, for starters. Whether you're looking to make it a habit or just want to dip your toes in, we’ve found an app that make it easy to develop a practice that works for you—and your lifestyle. It is called Thought Waves Pro, and we simply couldn’t resist from making it our Meditation App of the Month – it’s that good! What is Thought Waves Pro all about? The name of the app that we’re sharing with you today is Thought Waves Pro. It is a revolutionary meditation app and meditation tool to monitor and hold your favorite medical meditations. It takes a holistic approach to your health and well-being, and works on both phones and tablets. Let’s see why we like it so much. There are many benefits from this app, and that’s why we love it so much. Besides the fact that it’s user-friendly and simple, it can really help anyone to reduce anxiety, control blood pressure, improve blood sugar, reduce blood clotting, boost immunity, improve digestion, bring you a deeper sleep, revitalize energy, etc. 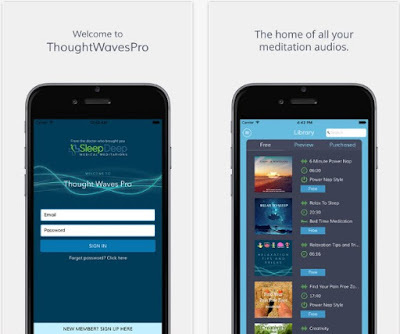 Whether you want to be more relaxed or to have a real guide to a less stressful mind and body, Thought Waves Pro is a perfect choice for you. It allows you to listen to smooth and quite meditation audios, to see how much time you meditate and how you progress in the statistics section, to track your development with the 8 week progress board, and so much more. If you want to experience this free relaxation and meditation app, you can get it immediately from Google Play or from the App Store. With the development of smartphones, many apps and games have been developed too. All of us like playing games on our phones daily for fun. Many people like tapping games that are challenging their fast reactions, offering them to compete and become the ultimate players of the game. For that reason, we searched and we discovered one game that offers the both, challenging and yet entertaining gameplay. Let's talk about the game. This arcade game developed for android users is highly fun and addictive infinite run, offering players one of the best endless run experience. Players are getting high-quality design, entertaining sky environment for playing and cool bird as the main character. Also, the game is allowing the users to enjoy the amazing sound effects while playing. Easy for playing, offering addictive and fun gameplay, on this game arcade users will be hooked on the first try. The Bird Drop is fun and exciting arcade, created simply, offering its users a gameplay that is highly addictive and suitable for everyone. The user has one simple task on the game, to tap on the screen to get the bird higher, landing on each platform along the way. 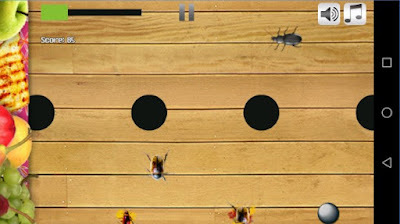 Also, to make this game a little bit challenging, the users need to avoid the spikes, getting higher on the sky. Touching the spikes means game over. Along the way, users must collect coins, as many as possible. Those coins the users can use for unlocking achievements that can be quite helpful for the user in the game. The game can be played with others, like family or friends, and even the users can compete with other players from the whole world. The user needs to get higher and stay longer in the game, getting more scores to win the game against the other players. Reviewed and still played non-stop in our office, Jelly Crusher is definitely one of the most fun casial games we played in weeks. Because of that, we were sure we will give it another appraisal, this time as our Casual Game of the Month! Read this review and find out about the game and why it should be your new favorite casual game. This bubble crush pop puzzler is one interesting combination of arcade and puzzle game that is developed on IOS and android platform. Offering high-quality graphics and cool sound effects while playing, users can destroy the jelly, candy and desert characters fast while using powerful weapons for shooting. 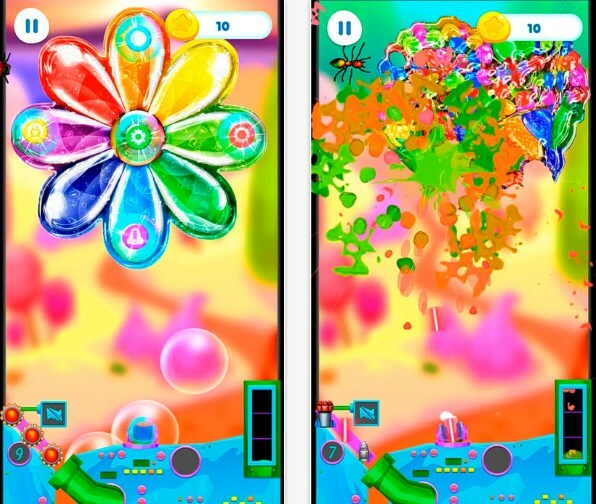 The game is testing the user's fast and precise reactions, offering him to become the ultimate Jelly Crusher with completing all the challenging missions offered on this game from the bubble pop genre. The Jelly Crusher is offering exciting and challenging gameplay that will keep the players always interested in the game. The user needs to hop into the journey through the Sweet Land and destroy his jelly opponents. All the users need to do is to control their arrow, choose the strength and length, shooting the jellies precisely and fast. On this pop game, users can complete different missions in various levels and collect the coins in every level. With the collected coins users can purchase many powerful weapons like boomerangs, thunders, bubbles, and many others, crushing the jellies fast. The user needs to be careful while choosing the weapons and using the shots, trying always to be precise and to complete the levels as fast as he can. Download this game on Google Play and App Store now for free. 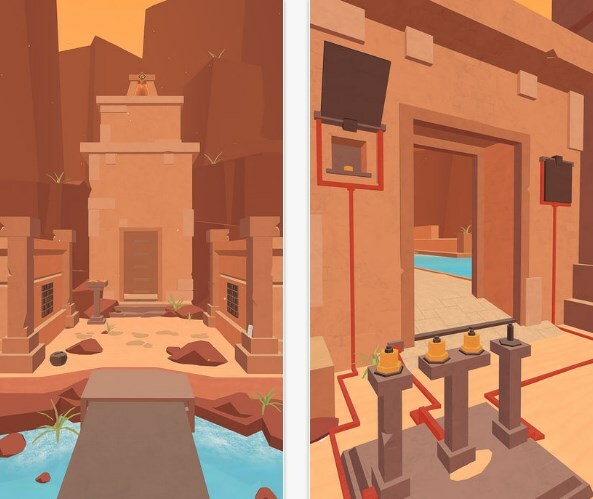 Puzzle games, just like every other genre, are sharing in the mobile gaming boom. Touchscreen controls are ideal for intuitive control of puzzle elements, and short, sharp mental challenges are perfect for gaming on the go. So, if you consider yourself as a fan of puzzle games and like to challenge your brain, we have for you one highly challenging puzzle game – Faraway: Puzzle Escape. Let's talk about it. This puzzle escape game is giving the players a chance to become true adventurers and solve many challenging puzzles to discover the ancient ruins. The game is developed on android and IOS platform, offering players mysterious puzzles for solving. The player needs to escape the labyrinths in the temples with solving all the puzzles. With high-quality graphics and exciting background sounds, the game is giving players one highly addictive adventure gameplay. This entertaining adventure and puzzle game offers its players one highly interesting and challenging gameplay full with more than 18 grand temples that contain many compelling puzzles. On this game, players are getting an exciting and mysterious story behind the gameplay. The players need to follow their father's footstep who went missing 10 years ago and was a collector of unusual artifacts. On the adventure, the player is going from deserts and oasis to ancient ruins of a mysterious civilization with various constructed devices and puzzles for discovering if the adventurer is worthy of knowing all the secrets. The player needs to observe the environment, collect items, manipulate devices and solve many puzzles to escape the temple labyrinths. On this 3D world that is very easy to navigate, players are offered to discover the many secrets that this world holds. Players need to collect pages of their father's diary to find out what happened to their missing family. Download this game on Google Play and App Store now for free. 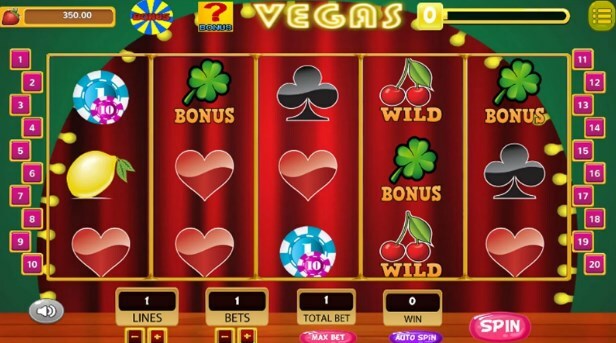 Casino games on mobile and tablet devices are increasingly popular. Latest stats suggest that UK players are turning to their phones more than their computers to play their favourite slots games. With that in mind, we shopped about and tested the best slots apps at great length. Given the enormous amount of slot machines on the market, it was certainly no mean feat. 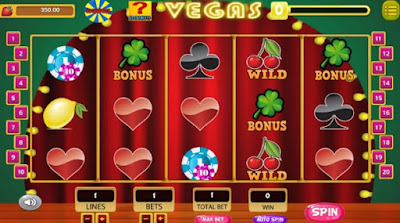 We’re pleased to present one of the best casino games for mobile slots fans - Fruits Casino Slot Machine. Get ready to feel like you’re sitting in a Las Vegas casino, spinning the reels in front of you and winning big! Fruits Casino Slot Machine is an incredible and addictive casino slots game, now available for free for all Android users. This game is designed with neat UI, wonderful graphics and extremely immersive sound effects. Why we like it so much? You don’t need to spend your precious time and money to visit a casino when you can access an addictive slots game on your device for free. Whether you want to win big or you enjoy spinning the reels, this game is perfect for you. All you have to do is to tap on your device’s screen to spin the 5 reeled wheel and rely on your luck. You will have the unique chance of earning awesome rewards and receiving daily free coins for your gameplay. The game can be played anywhere and anytime as well - it does not need an Internet connection, it works fine without Wi-Fi, 3G or 4G networks. Download Fruits Casino Slot Machine for free from Google Play and tap your screen over and over again and spin the reels! 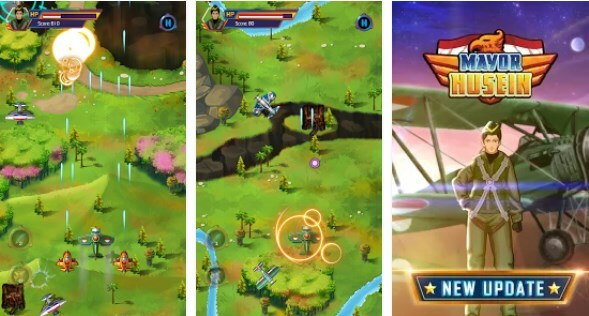 Flying, fighting and dodging the missiles at the same time is no easy business and if you think you can handle it, try these air combat games for Android and prove it. Although these games need concentration, they are very exciting experience. Also military plane fans will be fascinated with these games because they can find various types of them. So, if you're interested, you should know that we're going to introduce a fun air shooter game, called Mayor Husein: Battle on Sky. What is Mayor Husein: Battle on Sky? This is one of the most exciting jet shooting games we’ve played on our Android devices. It is created for this platform by Game Lokal Indonesia, designed with wonderful backgrounds, fun characters and catchy sounds. 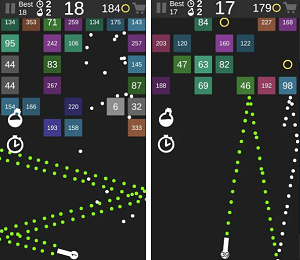 The gameplay is addictive and can be enjoyed on both phones and tablets. In this awesome war game, you’re playing with a cool character named Mayor Husein. He is one of the greatest Indonesians heroes and he is on a mission to bring peace to the world and save it from the dangerous enemies with his jet flying and fighting skills. Your main objective is to take part in battles and fight the enemies until you win. 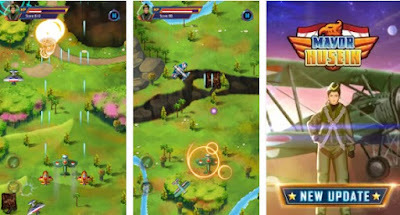 The game features multiple types of jets, so choose the one you like the most and shoot down every enemy on your way in order to win ranks and to save the innocent people. Make higher scores, be careful of your HP and become the ultimate jet shooter hero that’s going to make the world a peaceful place again. Download this exciting endless arcade shooter now and have hours of fun – it is free of charge on Google Play! Budgeting your money is very important. There is no shame in needing some extra help managing your finances. Nowadays with many apps out there for many different purposes, with the right app you can manage your finances and keep track of your money without much effort or time invested. 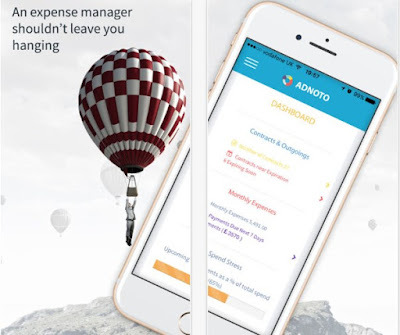 We searched and we found for you an app that can certainly help you do these things fast and simple – Adnoto Expense Manager. This productivity app is one efficient financial tool developed for IOS and android users that want helps with managing and tracking their money directly from the phone without much effort and fast. On this smart money tracker, users can manage their money, households, gadgets, or contracts simply without losing much time controlling their money. With the app, users can keep track on how much they are spending with the amazing graphics for reading the user's data. The app can be used for free and without investing much effort. The Adnoto Expense Manager is offering its users one elegant and useful interface. The users need to create their account for free or to sign in with their Google or Facebook account also for free. The app is also offering a dashboard for the users to see the complete overview of their data. On the app, users can look at their contracts, no matter if they are expired, and get all the info they need fast. The users are 100% protected using the app with the latest security technologies. With the spend stress indicator, users can track and manage money, and get info about their expenses in the next week. User's subscriptions and contracts can be saved and user can check the expiration dates as see how much he is spending each month, quarter and year. On the Device and Gadget Manager, users can see the number of devices they have as the subscriptions attached to it. The app's smart reminder system is reminder the user to cancel subscriptions and contracts and see the due payments. The app can be used anytime and anywhere, and the user can manage money of friends or family if he needs to. Looking for a new place to eat in a new town, or want to try a Halal cuisine and don't know where to go? 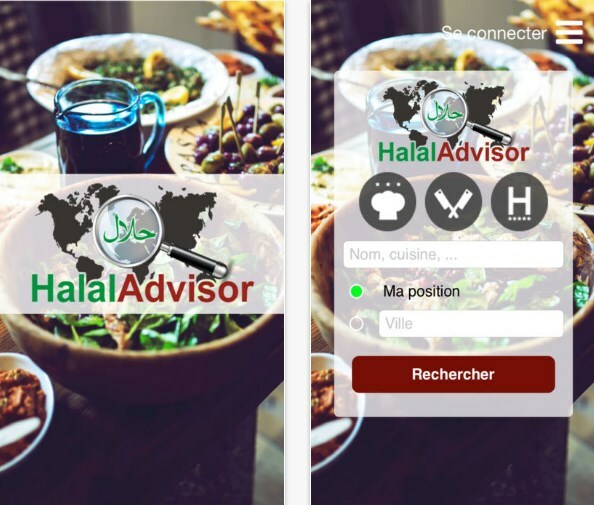 Regardless of the mobile OS you have on your device, there are plenty of apps that can help you find a new place to eat that you'll actually enjoy, but we took a look at one of those apps, based on our likings and customers’ ratings and reviews, called Halal Advisor. Halal Advisor is a helpful Halal guide to local and global places, such as restaurants, hotels, cafes, butcheries, etc. Now available on both Android and iOS platform, this cool travel tool is perfect for users that are looking for Halal place and for place owners that want to offer their services to new customers. Featuring tons of useful options and functionalities, the Halal Advisor app tailors its results to your own taste. All you have to do is login or register and then browse a Halal place by name or by cuisine type from your own position or for a given city. With it, you’ll be able to use a map for viewing locations, to add places to your Favorites, to write your own reviews, to read useful information, such as addresses, descriptions, schedules, menus, photos of the place, reviews, ratings, etc. Find great Halal places to eat and to stay, download Halal Advisor for free now from the App Store or from Google Play and enjoy. 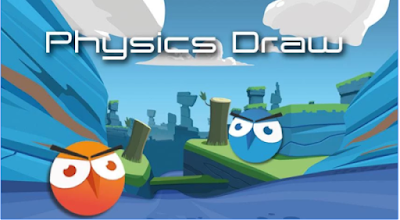 Since we reviewed Physics Draw few days ago we can't stop playing it. It is one of the most challenging and interesting arcade games we've played in the last few weeks. Because of that, and simply because it is indeed a very good game, we pronounce it as our Arcade Game of the Month! Our Music App of the Month will help you listen to electronic music in just about every different way imaginable. It is one of the best free music apps to help you listen to your favorite music, discover new artists, identify songs, listen to streaming music, and find radio stations near you. The app’s name is iam.dj, so read the article below and find out what it is about. This is one interesting music app that is developed for all iOS users that are fans of electronic music and need a tool to discover and listen to their favorite electronic music and DJs anytime and anywhere they want. With this app, users can search for their favorite electronic music, discover new and fresh music and keep track of the most popular DJs around the world. Without an effort, easy and fast, users can find the greatest world's DJS and electronic music from places like Ibiza, Berlin, London, New York, Miami, Las Vegas, and other cities from the whole world. On the app, users are getting new and fresh info every time new electronic music is being posted. The iam.dj is allowing the users to find and listen to unlimited electronic music. With the help of this app, users are discovering and listening to their favorite music and DJs without much effort, simple and quick. Notifications are given to the user every time new track is posted by their favorite DJ. On the app, users can search and listen to many interesting radio shows, live sets, podcasts, electronic mixes, on demand from the whole world anytime they want. Suggestions is given by the app with the app's curators, to help users stay informed every time a new song is posted by their favorite artist. 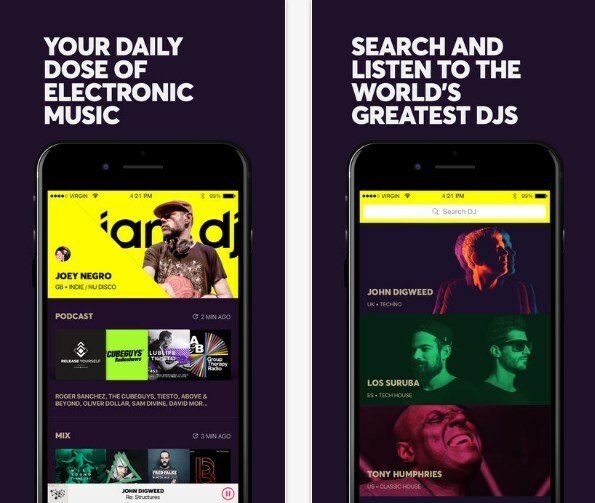 The app is allowing its users to give respect to their favorite artists, stay updated and get recommendations of fresh and interesting electronic music. Download this app on App Store now for free. 24 September 2017 Weedmenu, the iOS and Android app that serves as a global cannabis product and service directory, launched on App Store and Google Play last month. Now the company launches a new exclusive offer for cannabis businesses among many other different listing features. Weedmenu represents a completely new and revamped business directory app that already proved to be of huge help to potential legal marijuana customers across the globe. From businesses, doctors, suppliers and new brands in the industry, Weedmenu showcases anything important about cannabis consumers and buyers of high-quality legal marijuana. “Weedmenu is created in a way to assure useful info, best offers, quality and safety for buyers of legal marijuana. 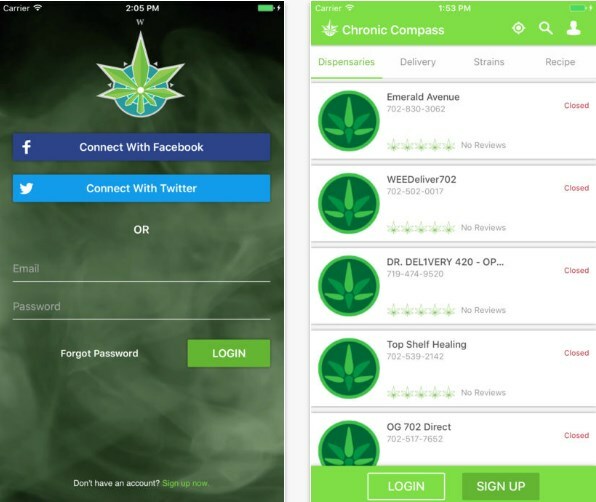 We have a special program to attract thousands of the best businesses, doctors, suppliers, brands to join our app and that is why we are sure our users will find only the best of the best”, stated from Weedmenu. Besides having all of the great features of the business directory apps, Weedmenu also introduces a new way of how businesses will list and showcase their business in front of potential customers. In a special offer, Weedmenu now offers an exclusive free trial for businesses: 90 days free trial to list their business and $10 a month for an ad listing after the trial expires. “There are a lot of good cannabis business directories, and there are the ones that are offering no value for cannabis business. But, they both have one thing in common, the high monthly price for listing business. Weedmenu wants to change that by offering free 90-day listings and pricing as low as $1 per month, about 200% cheaper than similar apps”, stated from the company. The app will be free on both Google Play and App Store, and businesses can sign up for the 90-day free trial on Weedmenu.org. It’s always helpful to have information quick and available at your fingertips whether planning for meals at home to finding great restaurants, great wine, calculating your tip, and calorie counting with foods that fit your taste palate and lifestyle. Thanks to smartphones, we’ve managed to narrow our list from the numerous app programs available down to one that has impressed us the most. The app’s name is Coozyn, and it’s our Food & Drink App of the Week. Coozyn is a wonderful and useful food app for all iOS users that want to easily order food from chefs and local food restaurants. This global community is an online vehicle for lovers of world cuisine, perfect for connecting people with tasty destinations. 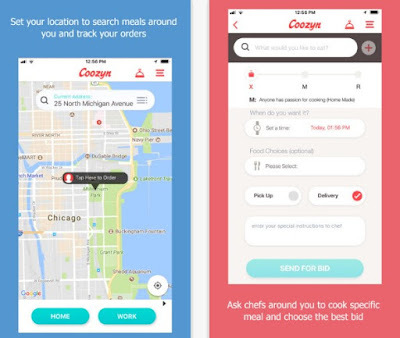 With the Coozyn app you can simply look for the meals you want from chefs (home, professional and even celebrity chefs) or food businesses (restaurants, food trucks, etc.) around you. It allows you to easily order food and track it in a seamless way, it lets you save your favorites, choose your food to be delivered or not, pay with Apple Pay or Credit Card, add multiple items in your food basket, and so much more. Browse and order meals from chefs and food locals. Even if you don't know from where to order, just enter what you like to eat and the app will take care of the rest! The creators of this amazing app have also brought us Coozyner and Coozyn Pilot. Coozyner is an app especially developed for food sellers and businesses. With this app users can easily include the meals they’re making, add their food brand and let other people place food orders. The Coozyn Pilot app actually helps in delivering orders around your city, so you can use it for making money on your schedule. Whether using your car, on foot, bicycle or public transportation, you can select any of the options and start earning right away. This way you will collaborate with food sellers (from Coozyner app) and start delivering specifically for them. If you want to check out the apps’ full set of features, open one of the links below. You can download it for free on your iDevice – it’s soon to be released for Android users as well! If you’re looking for a head-scratcher, but can’t be bothered to spend any money, you can certainly use your smartphone for this purpose. Nowadays, there are many games available for our phones and one of the most interesting games are for sure, the puzzles. Finding the most challenging and entertaining puzzle out there, can be hard. But, we searched and we found one highly interesting puzzle game for you. Let's see what this game offers you. This is one amazing puzzle game that is addictive, unique and challenging, created for all puzzle lovers that love to think harder and solve difficult puzzles. This game is developed on android platform and is certainly challenging the brain of players, giving users various levels to complete and progress in the game. On the game, the user only has limited time to solve the puzzle and with every new level the difficulty on the game increases. With the help of this game, users will start thinking logical and solve the puzzles faster. When the user starts to play the game, his task is to paint each white, gray, or black rectangle in one of the 4 available colors as red, green, blue and orange, but, two rectangles that share borders must not possess the same color, if they do, the game will be over. 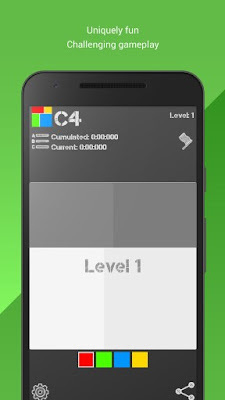 When the user paints all the rectangles, the game will check if the neighbours share the same color. The pointed arrow will show the mistakes of the user. On the game, there are 54 levels, increasing in difficulty and complexity, offering users to push their brain to think faster and to complete all levels, becoming ultimate puzzlers. Only limited time is given every user to win the level. The game will be over if the time runs out or all rectangles are not painted. The user just needs to touch the colored square below the puzzle area for selecting a color and touch the target area for painting. On global scoreboard of this game users can share their score and compare it with the scores of other players. One of the most popular games out there is League of Legends certainly. You can find many apps that are offering you to find interesting Champion wallpapers of this game and offer you to share your favorites with people that like the game. With the right app, you can save many wallpapers on your device and personalize your phone. We have for you today one awesome personalization app for this kind of wallpapers – League of Wallpapers - Legendss - Legends. Highly fun and effortless app for fans of the video game, League of Legends. Developed for all android users, this app is offering its users to find, save, and share many different League of Legends wallpapers, unique and artistic. The app is very easy for using, created from fans for all fans, offering them to enjoy the amazing art of League of Legends. Users can pick their favorite Champion wallpaper, bringing their favorite wallpapers everywhere with them, personalizing their phone by their own taste. Especially created for all fans of the game, this app is offering its users fast and easy ways for finding the most unique and fun League of Legends wallpapers. With the help of this app, users can search through many different wallpapers, pick their favorites, save them on their device or even share them on Social Network or other apps. With picking their favorite Champion wallpaper, users can choose to share it or save it. The app is being updated weekly and constantly giving the users fresh and new wallpapers. 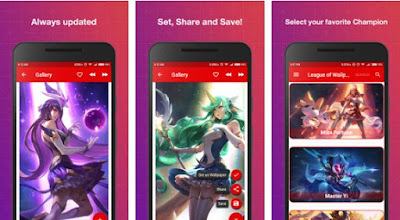 On the app, users can find many Ornn Wallpapers and new Star Guardian skins. The app is giving users push notifications every time a new wallpaper shows. The users can enjoy the art and personalize their phone, bringing their favorites everywhere. As the prevalence of mental illnesses like depression and anxiety continues to grow, clinicians have turned to mobile applications as tools for aiding their patients’ treatment. These apps can be especially helpful for people that are looking for fast ways to improve their health or they simply need support from people that suffer from the same issues and understand how they are feeling. We looked and we found one useful app for this. Let's see what this app is all about. This medical app is a helpful and efficient medical tool for users to improve mental health issues and get advice on the issues they are struggling with like anxiety, stress and depression. With the help of the app, users can find solutions fast and simple, track their mood and chat with other people that are having the same issues as them. Developed for IOS users, this active app is helping its users to get the support their need while communicating with other users and sharing their experiences of mental health issues in real time. 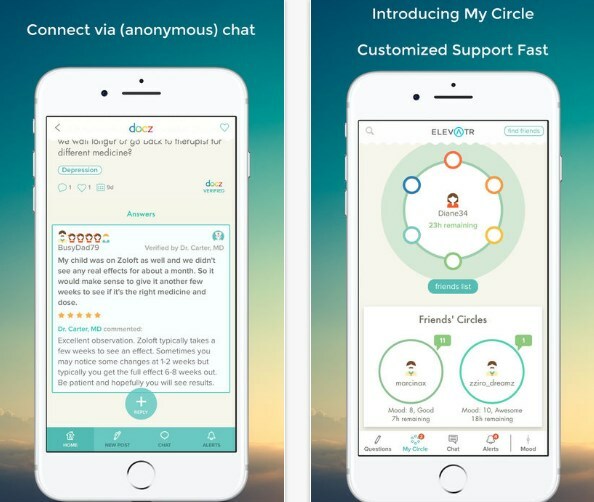 Elevatr is a mobile community, highly efficient and helpful, created for people that are sharing mental health issues to get advice on topics like stress, anxiety and depression. The app is giving its users complete and high-quality support. On the app, users are able to share opinions, advice, and experience with other users with using the private chat. Users can create their customized support circle, helping other people to get the advice they need with guided help of people that have the same mental health issues. The app is offering a Mood Metar tool for the users to track their mood daily and even share their feeling with other users of the app. Completely secured and private, users can navigate their health on the app and find solution for their mental health issues. “Mindfulness” is probably a word you’ve heard a lot of lately. It gets thrown around as a synonym for words like attention and concentration, often as a command or suggestion: “be mindful of the step,” or “be mindful of others’ emotions.” It’s also possible you’ve heard it said by those in the self-help crowds, often dressed in flowery, poetic cushioning. But meditation and mindfulness can have very real, measurable effects on your well-being. That said, the practice is more than simply sitting calmly. If you want a good meditation app, we have for you one of the best!